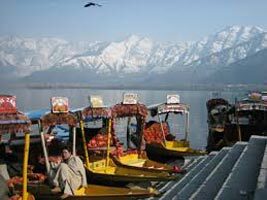 In the morning, board your flight to Srinagar. Guests can purchase in-flight meals on direct payment. On arrival, you will be welcomed by a MakeMyTrip representative (Outside the airport) who will transfer you to Jetty at Boulevard road. 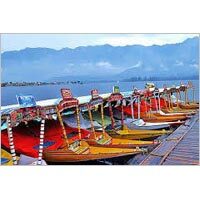 Upon arrival at the Jetty, transfer to your houseboat and check in. Enjoy lunch on the houseboat. 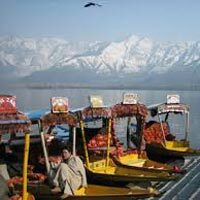 -	Enjoy Shikara Ride. Dinner in the house boat. Lunch will be served at the Gulmarg Hotel. Enjoy dinner and have a comfortable overnight stay. 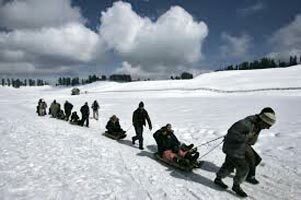 After breakfast, check out of the hotel at Gulmarg and proceed to Pahalgam. Pahalgam is in Anantnag District. 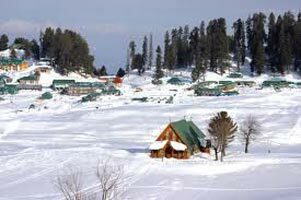 It is a popular tourist destination, and every year, many tourists visit Pahalgam. 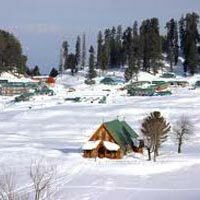 Pahalgam is located at. It has an average elevation of 8989 feet. The town of Pahalgam (Village of Shepherds) offers breathtaking views. One can just relax in the hotels or enjoy water rafting etc. 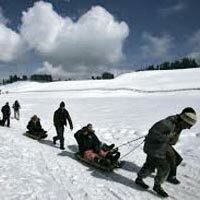 Pahalgam is also the entry point for the famous Amarnath Cave, a holy site for Hindus. On the way visit the Avantipur Ruins - the 1100 year old temple dedicated to Lord Vishnu. Avantipur was founded by king Avantivarman. The site has two temples. The larger one, Shiva-Avantishvara, is marked by massive walls some half a mile beneath the town on the outskirts of village Jaubror. The subsidiary shrines are to the rear corner of the courtyard. But the complex has, over the years, lost its grandeur and has been reduced to ruins, though it is still visited by the devout. Check in at the hotel followed by hot lunch. In the evening get a transfer to main market at 4.30 PM and drop to hotel at 6.30 PM from market. Spend rest of the evening at leisure. Enjoy dinner & overnight stay at the hotel. After breakfast, embark on an excursion to Chandanwadi (3288 meters),Betaab Valley and Aru Valley. Lunch will be served at the Pahalgam Hotel. Surrounded by snow-covered mountain peaks and dense pine and deodar forests, this valley is the mouth of River Sheshnag. After your tour enjoy the evening at leisure. Have dinner and enjoy a comfortable overnight stay at your hotel. After breakfast, check out of the hotel in Pahalgam and proceed to Srinagar. On arrival, begin your excursion to Shankaracharya Hill Temple and Grand Mughal Gardens (Chashme Shahi, Nishat Bagh & Shalimar Bagh). Lunch will be served at your hotel in Srinagar. Enjoy dinner and a comfortable overnight stay at your hotel. 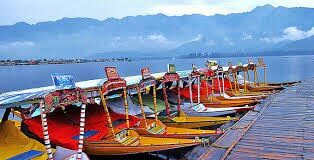 After buffet breakfast you will be transferred to Srinagar airport to board flight for respective Hub. Due to the extremely strict security measures at the airport during peak season, guests are requested to leave for the airport at least 4 hours prior to departure. We are forced to enforce this rule as there are 4 security barriers to pass before reaching the airport. And there are regular traffic jams for a couple of kilometers outside the airport.